Once my friends told me «You must watch Game of Thrones! » And I did. It’s a new American serial adapted from George R. R. Martin’s series of fantasy novels. 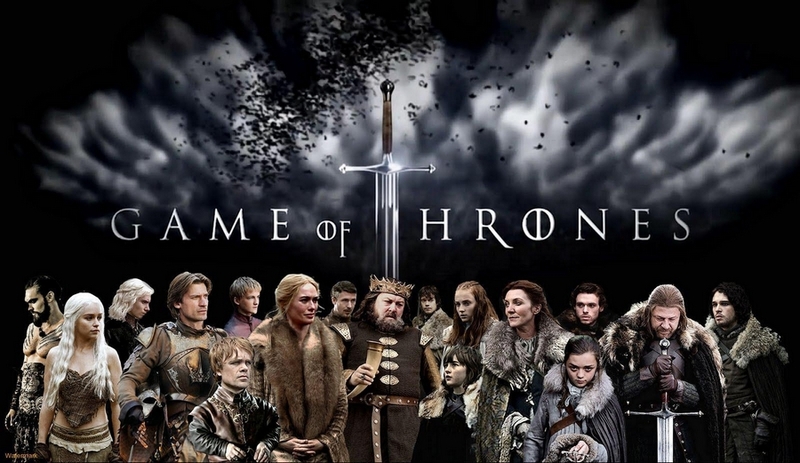 «Game of Thrones» is extremely popular among young people in the whole world. The series have high budget as well as a number of viewers. According to statistics, each episode is watched by almost 20 million people around the globe. The genre of the series is fantasy and it has nothing to do with the common future oriented science fiction. Here we see a kind of romanticization of the Middle Ages with some mysticism patterns. Kings, barons, princesses, wizards and dragons are usual representatives of the genre which celebrates outdated social relations and blows viewers’ minds showing reality where invocations and prophecies rule the world. What is so special about the series? 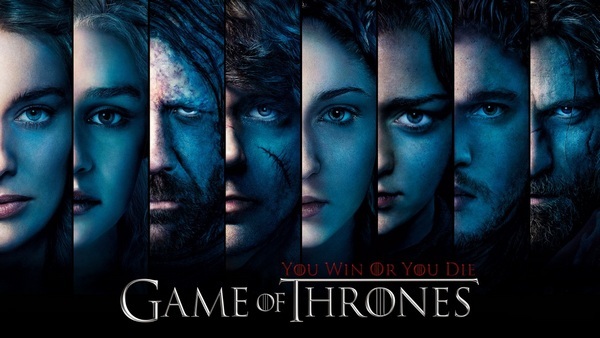 Among other modern fantasy films, «Game of Thrones» stands out for several reasons. The series are entertaining and spectacular. High budget (some episodes cost up to 8 million US dollars) and Hollywood wide experience in directing special effects have made an impressive TV show out of the serial. Thanks to this, «Game of Thrones» series have won a big number of various rewards including Emmy Reward. It’s not the first time when a serial lacking of any positive educative principles attracts audience by a catchy picture and brilliancy for show. Like citizens of Ancient Rome who visited gladiator fighting, the modern viewers spend their free time watching such kind of TV programs. There are no positive characters or aims in the serial. In fantasy films of the past characters try to achieve some abstract freedom of their own. 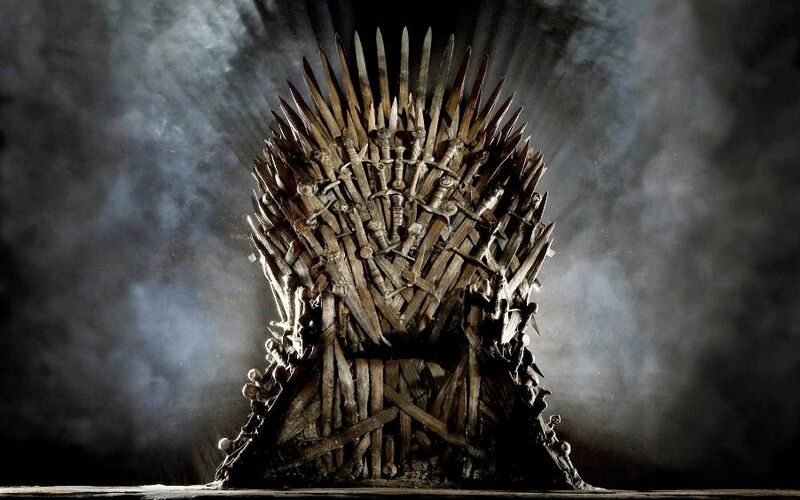 Concerning «Game of Thrones» its creators consider noble aims and aspiration for justice as absolutely useless trash making all characters want only power, wealth or revenge. For instance, what is the reason for one exact character to pretend to power? It is just because he is of royal blood. Or what is needed for victory? It is nothing but to kill all opponents and entertain mob. Such a simple formula for success, isn’t it? And of course, according to the series, only noble people rule. When some characters occasionally try to release slaves or dethrone a tyrant, they make up for these noble deeds by bloodthirstiness and revengefulness. As for common people, in the series they are often depicted as beasts that are coming to pieces. This is how lords see the world; for them, it’s full of rabble that can be easily executed or pardoned. Outrageous cruelty and lust are in plenty. Kings, princesses and other «noble’ characters use various barbaric methods fighting for power. The serial has no lack in detailed scenes of children’s murders, shocking tortures and executions of guiltless people. It seems that maniacal lords take delight taunting their victims. Besides, in some scenes viewers are invited to empathize with these maniacs. Several times during the serial some characters that evoke fair disgust only can be later shown miserable and deserving compassion. For example, one «noble» man first cripples a boy who happened to see his sexual games with queen sister, and then he kills his trusting ally to escape from captivity. But later the image of this man changes for better and he turns out to be a person with a heart of gold – as if an incorrigible criminal or a suicide bomber can be a saint. However, it’s not a single character of this kind in «Game of Thrones»; actually, there are pretty many of them in the serial. One burns down his daughter sacrificing her to gods and asking for their kindness that he doesn’t get though. Another one betrays his friends, kills guiltless children and demonstrates their burned corpses to people. But then he himself undergoes tortures and castration and finally loses will yielding to his tormentor. So, should viewers take his side expecting to see that something good reveals itself in this poor person after all? The authors pay much attention to various forms of lust which is, however, made accidentally on purpose. «Such is the world we live in, accept it» – isn’t it the message told by the creators of the serial? The series deny genre principles. Why do writers and producers work on adventure books and films? Definitely not just for fun. All of these masterpieces can be based on educational approach and contain scenes where characters overcome themselves revealing their best traits to reach some goals. Seeing this, readers and viewers (especially the younger ones) unconsciously associate themselves with the characters. For example, Walter Scott’s Ivanhoe teaches youngsters to be honest, purposeful and intolerant of meanness. But in «Game of Thrones» there is no matter at all whether it is a positive character or a villain, a protagonist or a secondary hero, as each of them can be dragged through the mud, humiliated, killed, raped or crippled. Such a device leads to complete unpredictability and grabs viewers’ attention even more. Each plotline in the serial can stop suddenly or be developed in a surprise way. What is it for? For making viewers suspicious of fighting against meanness, isn’t it? So, maybe, it is better to let it be? This is what arouses a feeling of senselessness while watching the series. For instance, what is the reason to develop a plotline of «King in the North», if it stops suddenly with death of some main characters? What is the reason to show all best traits of an intelligent and kind girl, if she finally dies? Bad guys are luckier. Another device to draw viewers’ attention is even more disgusting than others. It consists in displaying some characters the only description of whom is cruds. However, to everyone’s surprise, they thrive and prosper. They can lie, betray or kill guiltless people and still be successful. Is it always like this in real life? Are we to submit to the will of thorough scoundrels who succeed in everything? Yes? Do you really think so? Such an «innocent» message is promoted through the series. And one of the scoundrels of this type is a filthy queen. She carries on a lot of intrigues, sets up murders and easily betrays guiltless ones. And although fate doesn’t always favor her, she comes out dry anyway. The sense here is evident: viewers mustn’t be relieved seeing such a swine punished by someone who is not as bad as she is. In conclusion, those viewers of the serial (particularly teenagers) who don’t possess strong moral principles based on good literature and films can easily adopt patterns of behavior showed by morally depraved characters. So, you’d better keep your children away from this cultural outrage called «Game of Thrones». In case your young offspring has already got addicted to the serial, watch one episode together and explain all hideousness and manipulation essence of the «Game of Thrones» series to him/her.